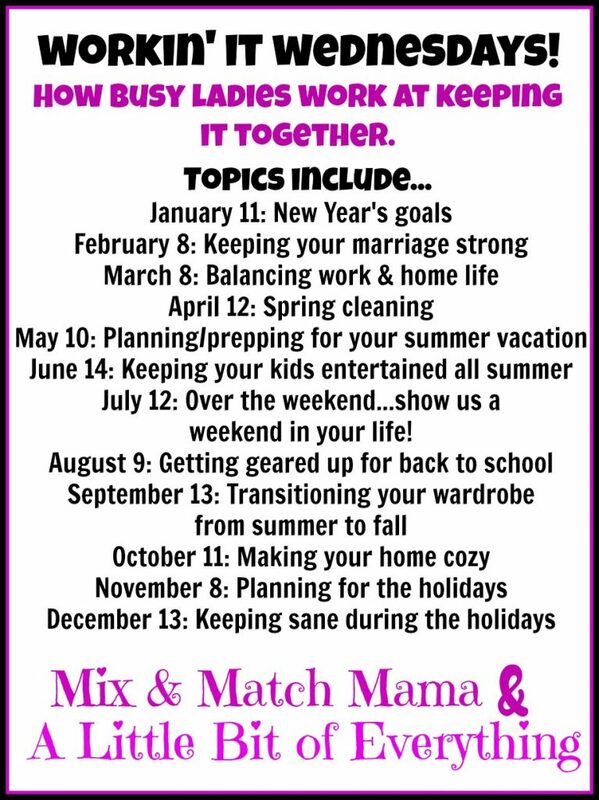 A new year, a fun new link up hosted by these fab ladies! This month's topic is how do I work my New Year's goals? I actually thought about skipping this first month because I am the WORST at keeping any New Year's goals and resolutions. Because of that I hardly ever make NY's goals. In a previous post I touched on a few things I want to improve about myself this year, you can read that HERE. Now, how am I going to 'work it' to accomplish my goals? One of my goals is to read 20 books this year. I have a Goodreads account with a ton of books saved that I'd like to read so when I'm in a rut and needing some inspiration I can go there and find a book to check out. I'm also in a book club where we read 1 book a month and meet to talk about it. Also, I read Shay's monthly book posts where I always get at least one book to add to my 'to read' list, if not all that she's read that month. I get a daily email from BookBub with free or very cheap books for sale in it and I've purchased quite a few books through there and have them on my Kindle waiting for me to get to them. That's all fine and good but finding the time to read is my biggest hurdle. For that I just try to keep my book or Kindle handy for those spare moments I get of peace and quiet. My Kindle fits easily in my purse so I can take it along wherever I'm going. Naptime, after the kids go to bed or when Tenley's napping in the morning and Tate's quietly playing with his playdough are all times I try to get a little reading in. Personal development goals are a bit trickier. Those I just have to work at and remind myself of them daily. It's not easy to change your habits but you just have to keep working at it and soon you'll have formed a new, healthier habit to replace the old one. Join in on the fun and link up for Workin' It Wednesdays! The year's topics are listed below. I love to read, too, and my goal is 20 books this year, also. I've been in a reading slump for a while, so I'm hoping to do better in 2017! I wish I had time for one book let alone twenty. That and I read documents and contracts all day so I am not really up for reading when i get home. However, maybe I should try that instead of tv. My goal is 20 books as well :) I just got the good reads app to try to keep track and motivate myself! it is satisfying to mark a book as finished!! Twenty books is a solid number. I need to put in writing how many books I'd like to complete this year... 20 sounds nice. :) The only other real goal I have is to complete an actual pull-up. HA!